In April of 1986, a young associate at a worker’s compensation law firm had an idea. Could some sound marketing ideas and the right vanity number make a lawyer wealthy? With 1 year of legal experience and a little more than $200 for advertising, Donald Ramsell started marketing the DIAL-DUI © concept for legal defense in the Chicago suburbs. After just 2 weeks, Donald had 23 clients, 3 full-time attorneys and his own law firm. He never looked back. 1986 was the last year that ‘ DUI Don’ grossed less than $1 million in legal fees. 12,000 clients and $20 million dollars later, Donald Ramsell is ready to turn more attorneys into potential millionaires. 1-800-DIAL-DUI © isn’t just a number. It’s a complete marketing concept. 1-800-DIAL-DUI © will get you there. 1-800-DIAL-DUI © is yours to keep for as long as you want. 1-800-DIAL-DUI ©lets you tell the client that you belong to a group including attorneys who have been noted on ABC’s 20/20, Oprah, CBS, NBC, FOX, and COURT-TV. Only a limited number of attorneys will share in this opportunity. INTERESTED IN JOINING America’s DUI DWI ATTORNEYS ? 'America’s DUI DWI Attorneys' is one of the nation’s largest and fastest growing legal directories devoted exclusively to DUI attorneys and DWI lawyers practicing in the areas of DUI, DWI, and Drunk Driving Defense. 'America’s DUI DWI Attorneys' and its exclusive, vanity toll-free phone numbers, 1-800-Dial-DUI and 1-800-Dial-DWI , have been seen and heard on Google, Yahoo, MSN, AOL, and all major search engines. Additionally, we have been nationally advertised on XM Radio, and locally advertised throughout the United States. WHAT DO OTHER ATTORNEYS SAY ABOUT Americas DUI DWI ATTORNEYS AND 1-800-DIAL-DUI? "When Don first suggested to me that he might sell me the rights to his 800 number it was a "no-brainer", I signed on the spot and immediately became the first "member". This was before I knew about the fact that over two decades before he had the foresight to obtain the rights to DIAL-DUI and to then set the Illinois legal scene on fire by using his marketing and practice management savey to make millions with it. Web presence. Together the telephone number and the web site form the "one-two" punch that will transform your practice. I highly recommend Don Ramsell and DIAL DUI!" Just wanted to drop you a note to let you know how things are going. They are going very well. I appreciate the honest, forthright advice and square-dealing manner in which you have helped my practice grow. I am getting at least 3-4 solid leads a week from the web-site alone. "I just wanted to take a minute to write you a personal note of thanks. As you know, when I started with you I was moving to a new town with no client base whatsoever. After researching marketing trends and plans I settled on your vision for what a dedicated DWI trial lawyer could do with the right marketing plan. I could not have made a better choice. As you know, since I began with you last summer I have now expanded my practice and have two offices. I have generated more than $100,000 in revenue, and continue to grow each and every month. Your 1-800-DIAL-DWI is part of that success, but your advice, experience, and guidance is the bulk of it. I have listened to you, and followed your lead. I am looking forward to growing my practice, and watching the other members of this fantastic organization do the same. In short, thanks for giving me the tools to build my career. I couldn’t have done it without you. " "I wanted to let you know the program is working out awesome! Not only are we pleased with all of the new cases being generated, but we also enjoy the group atmosphere and sharing of ideas. Thanks again." exclusively yellow pages type advertising, and I am opening many more files." "I would recommend 1-800-DIAL-DUI to anyone who is serious about marketing a DUI practice. If I could obtain as healthy return in the stock market as I do from my investment in 1-800-DIAL-DUI, I would be practicing law part-time. However, my retirement is on hold due to business I am getting from 1-800-DIAL-DUI. the service just keeps getting better. The best aspects of DIAL DUI are : 1) that they do not accept just anyone, and 2) once you agree to franchise an area, it is yours (including as yet undesignated sub area codes) unless and until you decide you don't want it anymore, and 3) the annual increase is pre-determined and tied to an index, so it is both predictable and manageable, and 4) The owners of the service or their successors in interest cannot later take away what you have built up and depend upon and turn it to their own advantage, and against you." 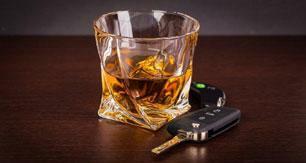 HOW MUCH TRAFFIC DOES Americas DUI DWI ATTORNEYS GENERATE? At our present rate, web traffic for America’s DUI DWI Attorneys will reach between 400,000 and 500,000 annual page views in 2006 . America’s DUI DWI Attorneys provides visitors with the ability to find local DUI Lawyers and DWI Attorneys throughout the United States, and general information on DUI Laws, DUI Defenses, DWI Laws, Breathalyzer testing, and other issues related to Drunk Driving. Advertising on America’s DUI DWI Attorneys is simple. Each territory is divided by area code (one area code equals one territory). For example, if you practice in downtown Chicago, Illinois, your listing would be placed into area code 312. Area Code 773 (suburban Chicago) would be a second, additional territory. 4.A description of your services. 5.A hyper-link to your individual website. 6.A listing of your email address. 9. See an example of a Silver Sponsored Listing by clicking here. 10. Click Here to become listed as a Silver Sponsor or contact Donald Ramsell at 630-665-8780. 2.Guaranteed placement in the top 3 spots for that area code on America’s DUI DWI Attorneys websites, above all the Silver Sponsored listings. 6. See an example of a Gold Sponsored Listing by clicking here. 7. Click Here to become listed as a Gold Sponsor or contact Donald Ramsell at 630-665-8780. 2. An exclusive listing at our website for your territory (all other listings are removed from your territory – only one listing is provided for each area code). 5. All calls to 1-800-Dial-DUI or 1-800-Dial-DWI originating from your territory are automatically forwarded to your local phone number. 7. Platinum Listings also include the exclusive right to advertise 1-800-Dial-DUI or 1-800-Dial-DWI in your territory. 8. DUI Marketing advice and inclusion on our DUI marketing list-serve with all other Platinum Members. 9. Plus, as a Platinum Member, we will provide hyper-linking from all of are other Platinum Member’s licensor-owned websites (over 25 websites to date), to your personal website (thus providing you with additional optimization benefits to your personal site). 10. The monthly fee for a Platinum Membership is $1000.00 per month, per area code. (Multiple Area Codes may qualify for a discount). 11. See an example of a Platinum Sponsored listing by clicking here. 12. The opportunity for a complete website built by us. ( Click Here for an example) Additional fees for a complete individual website may apply. 13. Click Here to become listed as a Platinum Sponsor or contact Donald Ramsell at 630-665-8780 or email him at Donald.ramsell@dialdui.com. *All prices and terms are subject to change at the end of the License term without notice. Silver and Gold Listings are on a month-to-month basis, but renewal will be automatic unless cancellation occurs as below. All Silver and Gold Listings are subject to cancellation upon placement of a Platinum Membership Listing for that territory. Silver and Gold Listings require a valid Visa or MasterCard, which will be billed at the beginning of each month. Cancellation of a listing by the licensee must be made in writing to Donald.ramsell@dialdui.com. Licensee agrees to provide a hyperlink from their personal website to www.1800dialdui.com. Cancellation by the licensee will become effective at the end of the calendar month when cancellation was received. Silver and Gold listings are not allowed to advertise as ‘Members’, as that right is reserved for Platinum Members only. Only licensed attorneys in good standing may be listed. **Platinum Memberships are reserved for those attorneys and lawyers who, at the sole discretion of Licensor, have established themselves as having the ability to defend persons accused of DUI, DWI, and Drunk Driving at a premium level acceptable to Licensor. All licenses are on a month-to-month basis, with automatic renewal unless cancellation occurs as described below. Listings require a valid Visa or MasterCard, which will be billed at the beginning of each month. All prices and terms are subject to change at the end of each License term without notice. Cancellation of a listing by the licensee must be made in writing to Donald.ramsell@dialdui.com. Licensee agrees to provide a hyperlink from their personal website to www.1800dialdui.com. Cancellation by the licensee will become effective at the end of the calendar month when cancellation was received. Only licensed attorneys in good standing may be listed. If interested in Platinum Membership, please call Donald Ramsell at 630-665-8780 or email him at Donald.ramsell@dialdui.com. Email Donald Ramsell at donald.ramsell@dialdui.com to learn about availability in your area, or call him at 630-665-8780. And don’t look back. Call 1-800-DIAL-DUI © and start increasing your profits Today!